Rest in peace Lt. Hinton. My thoughts & prayers are with your family, friends, and the entire FHP. May your family know that your dedicated service and sacrifice will never be forgotten, Lieutenant Hinton. Rest in Peace now, brother. We've got the watch. Thank you for your service and sacrifice. Rest In Peace Lieutenant Hinton. Our deepest heartfelt condolences to all of your family, friends, and brothers and sisters at Florida Highway Patrol. I saw you on that documentary about the FHP Academy. You always seemed to be a great instructor and even a greater policeman. As I am not a U.S. citizen, I may not thank you for your service. But I wish that you may rest in peace, Sir! Condolences to the family. A great loss. Sir, I would just like to say thank you for your service and sacrifice for the citizens of the state of Florida. And to your Family and loved ones, I wish to extend my deepest sympathy. The Abilene Police Department extends their condolences to the family, friends, and coworkers of Master Sergeant Daniel Duane Hinton following his death. We are grateful for his many years of service to his community. Thank you Master Sergeant Hinton for your dedication and for paying the ultimate price for the fine folks in the great state of Florida. You are a true American Hero !!!! My thought and prayers are with your family, friends and co-workers. May you forever, rest in peace, my brother. May you rest in peace Master Sergeant Hinton. I wanna say Thank You for the talk you had with me eight years ago. That warm and sunny morning when I saw you and your lovely wife sitting at the table, I never imagined that it would changed my life. That talk helped me as well as my recovery from addiction still to this day. I have not touched another opiate since your wisdom was handed down to me. I am truly blessed and fortunate that you were there that morning in Jacksonville Beach. You helped steer me away from that dark and horrible path I was walking down. I am extremely grateful and never really expressed my gratitude to you. So, from the bottom of my heart, Thank You Sir! To your lovely wife, Julie, and family, I send my deepest prayers and thoughts for you all during this time. You were truly blessed with an angel as a husband, father, and grandfather. As this isn't a goodbye for you all with Bubba, but a Until We Meet Again! Bubba, I didn’t have the chance to work with you but I did have the chance to grow into adulthood with you. I’ve been reflecting on our HS fun. So many memories I’ll cherish forever. I also want to say one of the best days of my life was at our 30 year reunion and I finally got to meet your Beautiful Julie, the woman who melted your heart who was n always will be your soulmate. Julie has always kept me up to date when you got that big deer, promotions, your K9, the big fish and everything else. Bubba, you are a true HERO. An extraordinary officer. You are truly missed. Remember Bro, you will never be forgotten. God Speed and your Brothers n Sisters in blue got this. Bubba, I didn’t have the chance to work with you but I did have the chance to grow into adulthood with you. I’ve been reflecting on our HS fun. So many memories I’ll cherish forever. I also want to say one of the best days of my life was at our 30 year reunion and I finally got to meet your Beautiful Julie, the woman who melted you heart who was n always will be your soulmate. Julie has always keep me up to date when you got that big deer, promotions, your K9, the big fish and everything else. Bubba, you are a true HERO. An extraordinary officer. You are truly missed. Remember Bro, you will never be forgotten. God Speed and your Brothers n Sisters in blue got this. I have so many fond memories of Bubba's family side. I love this family as if they were my own blood. Bubba always watched out for all of us kids and put us in our place when needed. I can still remember standing in front of the TV getting "in trouble" with his daughter (my best friend) right by my side... This family took me in and set my life straight at a time when I felt like everything was falling apart. I have always had an absolute respect and admiration for Bubba and Julie. Julie, I think of you everyday, all day, during this incredibly difficult time. My heart is broken for you, knowing that your true love has passed on. I wish I could be there just to hug the family. Know that as soon as I can get home, I will be sure to stop by and give you the biggest hug. I love you all! To the family of Master Sergeant Daniel Duane Hinton, friends, Colonel Gene Spaulding and the Florida Highway Patrol. 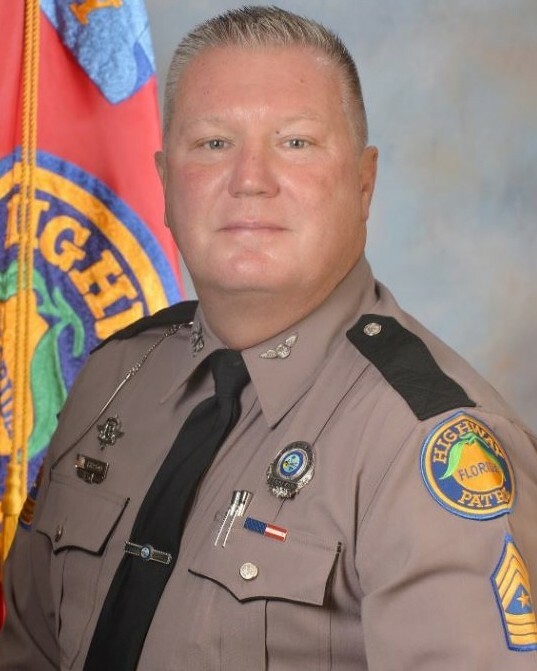 Bubba, our thoughts and prayers are with your family, friends, and our FHP family during this difficult time. Your dedicated service to this agency and our State is unparalleled. Your friendship will be cherished forever. Thank you, my friend. You will never...….ever...…. be forgotten. To the family, as you all lean on one another during this difficult time, I pray that you know how important he was to so many different people. He touched lives everywhere he went. I would like to thank you for allowing all of us a little time with your loved one. He made us all better in so many ways. You will ALWAYS be family. If you ever need anything at all, say the word. I still believe that's the FHP way. Thank you for your service. Prayers for your family and fellow officers. Rest in peace brother. Thank you for your service. God's speed Sarge.